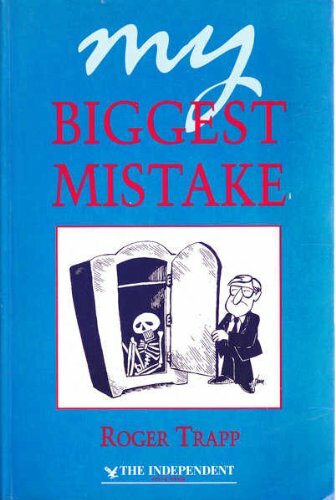 This volume is a compilation of a series of articles, "My Biggest Mistake", that have been appearing in "The Independent on Sunday" since the launch of the paper. Some of the contributors are household names, such as Sir John Harvey-Jones, Sir Graham Day, Lord Young, Anita Roddick and Lord Delfont. Different viewpoints are adopted. For example, Sophie Mirman could look at the failure of The Sock Shop from the vantage point of a new venture. Others are still fighting to come back.